CLEAN TITLE!! LOW MILES!! 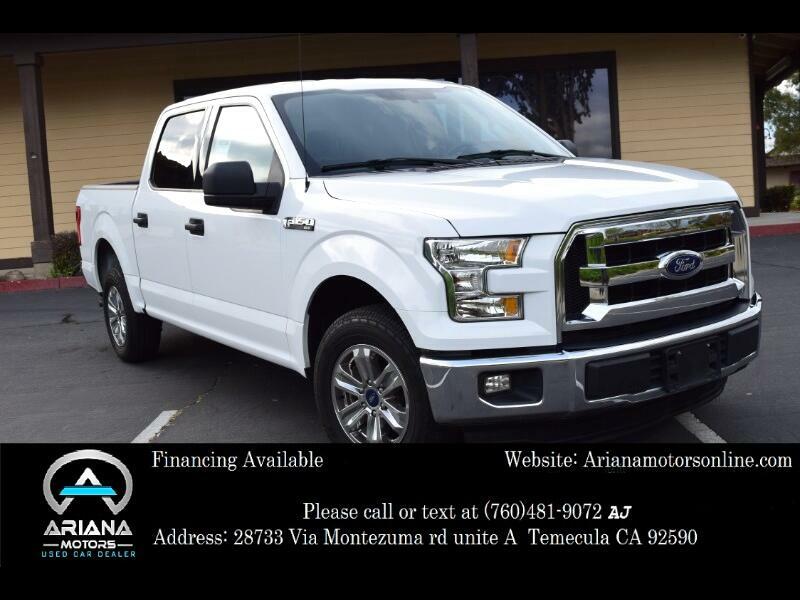 2015 Ford F-150 2WD SuperCrew 150" XLT, 5.0L V8 Engine, Automatic Transmission, Clean Title with 27,076 Miles. This Ford s is absolutely beautiful with its White exterior and Gray cloth interior. It’s equipped with Power Doors and Windows, AM/FM Stereo, USB Port, MP3, CD, ABS Brakes, Front Split Bench Seat, Cruise Control, Traction Control, Daytime Running lights, Deep Tinted Glass, Bluetooth and many safety options. If you’re looking for power and style then this car is for you! Call today for financing options or with any questions.